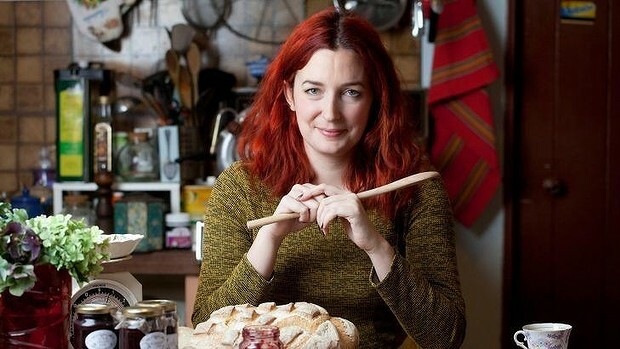 Fancy recreating ancient Roman feasts, whittling soup spoons or growing your own gourmet fungi? Here are 10 hobbies to get you started this autumn. I’ll never forget, as a five-year-old, watching an old woman digging for herbs by the side of a road in Germany. My parents and I were visiting family – my mother is German – and we had taken a break from endless kaffee und kuchen to go walking in the forest. The woman – who looked suspiciously witchy to me – was using her walking stick to dig out the roots of some green-leafed plant. My mum explained that she was likely going to drop the herbs into a bottle of alcohol in order to brew a digestive – a sort of homemade Jaegermeister. I found the whole thing intriguing and insisted we buy a walking stick just like the lady’s (despite a borrowed shovel being more practical) and search for our own herbs. I can’t remember ever tasting the resulting liquor but my imagination was forever caught. And this is just how food hobbies start. They are culinary curiosities that can quickly turn into obsession. Here are 10 food hobbies to get you started this winter. You’ll need: apples (preferably acid or tannin-heavy), a ratchet press, glass demijohns, bottles, caps, bottle capper. Since starting Milkwood Permaculture in 2007, co-founder Nick Ritar says their courses in backyard sustainability and real food production have been growing but the gourmet mushroom cultivation ones are always sell-outs. The easiest varieties to start with, says Rittar, are oyster and shiitake mushrooms. For the former, you’ll need to sterilise your wood chips by submerging in water heated to at least 60C. Once drained and cooled to room temperature, they go in a bucket with at least five 10 millimetre holes drilled in it. 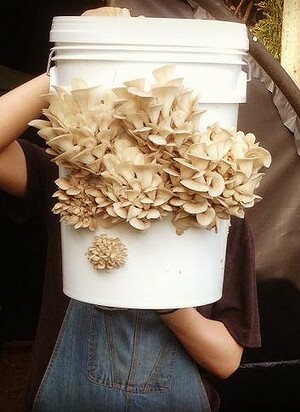 Add a handful of spore ($50 will get you between one and two kilograms), place the bucket in a second bucket (without holes) and press the lid on. After about three weeks in a dark, stable temperature the spawn should be ready to fruit. Remove the internal bucket, place in a humid place (like your bathroom) and wait for your funky – and delicious – mushroom sculpture to blossom. This takes about three weeks. “And you should get about three or four flushes off it, too,” says Ritar. Historical food. It’s a fascination we’ve seen in Heston Blumenthal’s 2013 tome Historic Heston and popular television programs such as Eat Like a King and The Supersizers Go…. But who would actually do it at home? Enter retired British doctor turned winemaker, John Eason. “There has been an explosion of interest in exotic cookery in recent decades,” he says from his home on the slopes of Mount Terrible in north-east Victoria, “but the unusual and surprisingly tasty cuisine of the Greeks and Romans has yet to attract public notice.” That’s because it’s actually pretty tricky to do. First, you need to translate the ancient recipes, which often feature ingredients that are either extinct (silphium, a herb), hardtocome by (try ordering dormice at the butcher and see how you go) or, as Eason says, “to us, frankly disgusting” (stuffed sow’s uterus, anyone?). On top of all that the often badly written recipes rarely give measurements or quantities, requiring lengthy experimentation. Nevertheless, in March Eason welcomed the public for a Melbourne Food and Wine Festival Roman feast, reportedly with great success. This article first appeared in the Good Food sections of The Age and the Sydney Morning Herald.